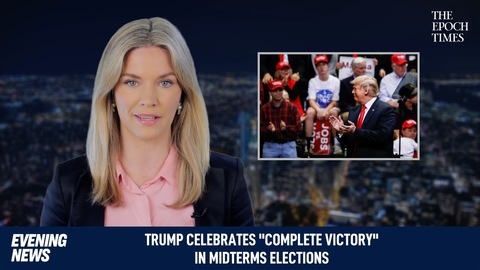 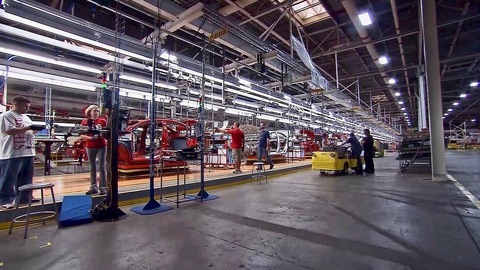 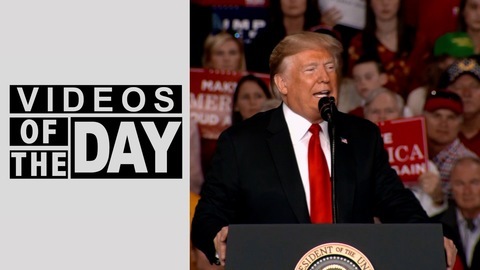 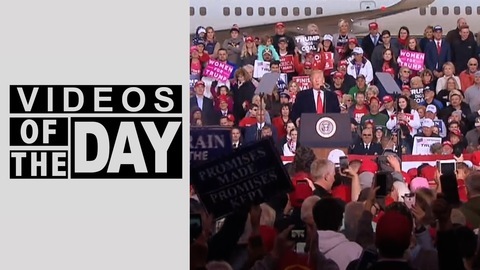 President Donald Trump is taking victory lap after a strong October jobs report, saying on the campaign trail that Democrats would reverse the economic momentum. 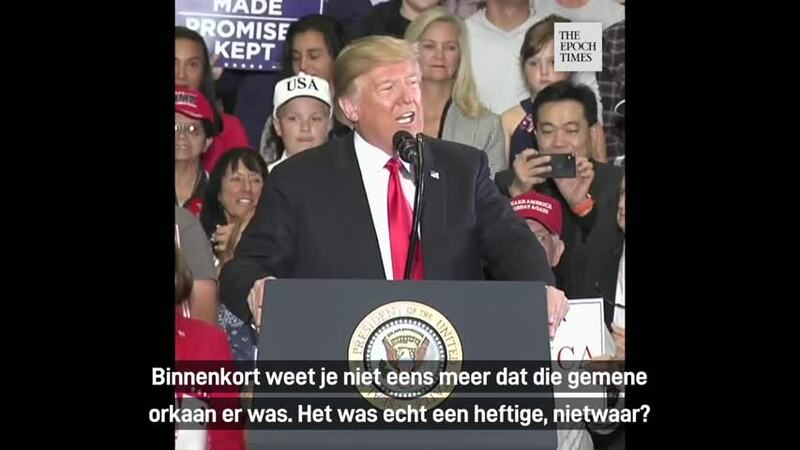 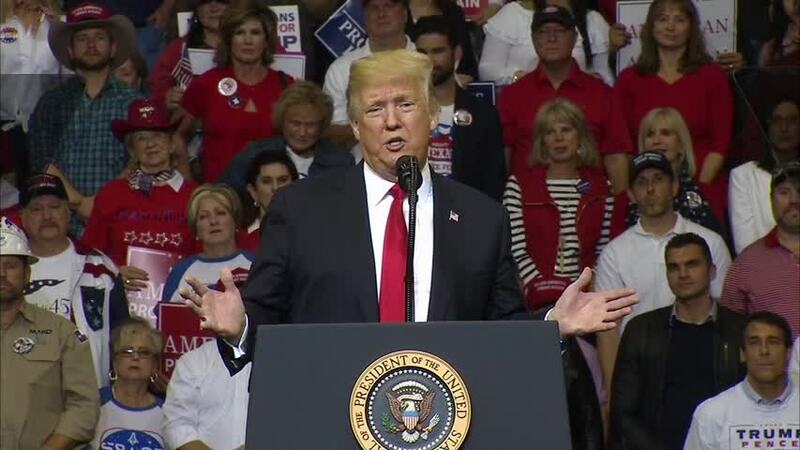 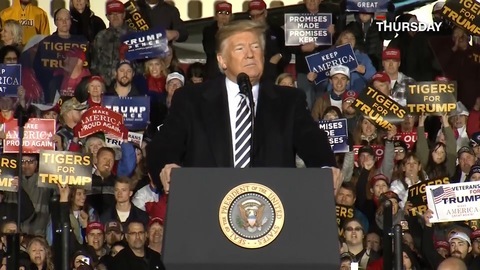 Trump is speaking in West Virginia where he is campaigning for Republican candidates ahead of Tuesday's midterm elections. 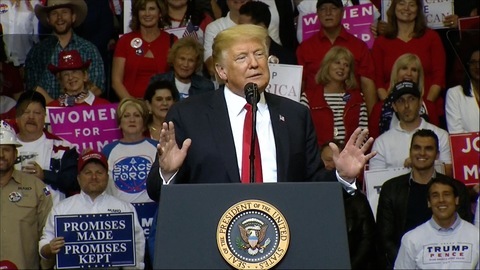 Trump says his administration has "over-performed" on his campaign promises to the American people. 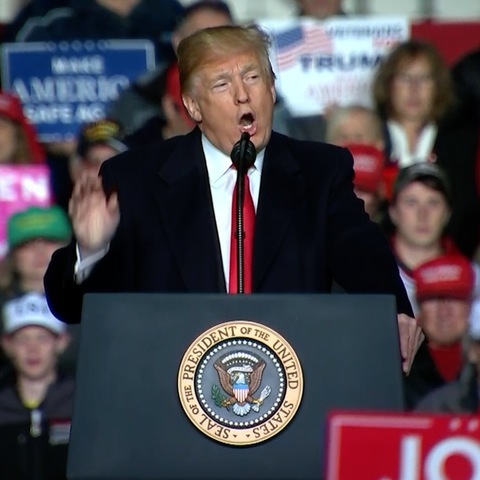 Trump says this year's races will decide whether Republicans will "keep making America great again," or "or whether we let the radical democrats take control of congress and take a giant wrecking ball to our economy and our future." 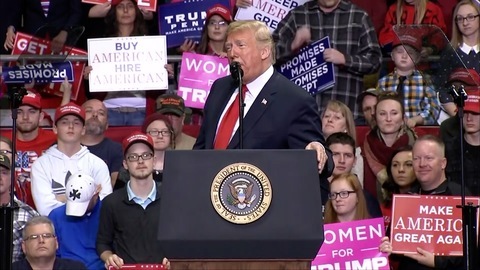 Trump is trying to help Republicans overcome strong Democratic enthusiasm by highlighting what he claims are the consequences of the GOP losing control of Congress. 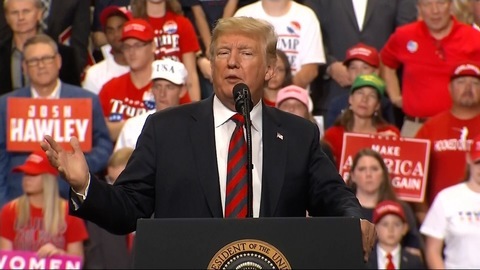 The president said if the Democratic leaders, including the Senate Minority Leader who he called "Crying Chuck Schumer" take power, they will erase all the gains his administration has made. 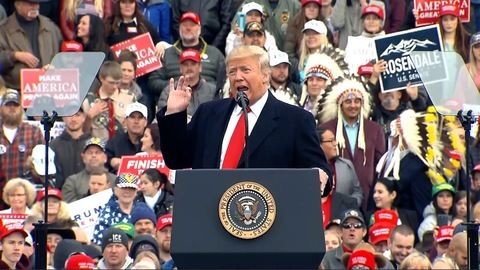 Trump acknowledged "it could happen." 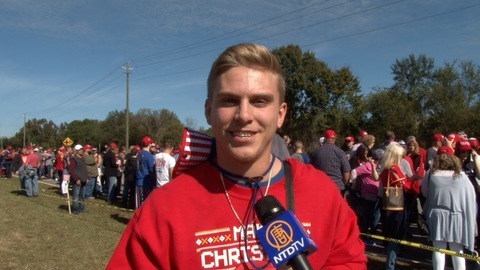 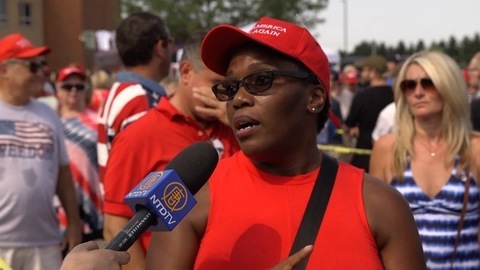 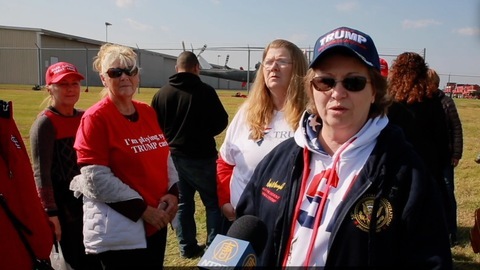 Murphysboro, Illinois Trump Rally Oct 27-Why do you support Trump? 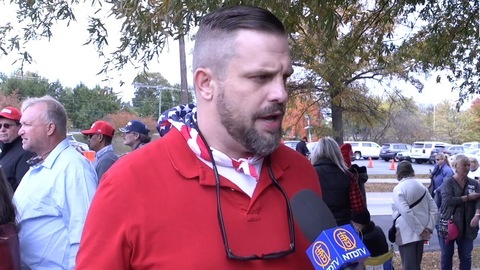 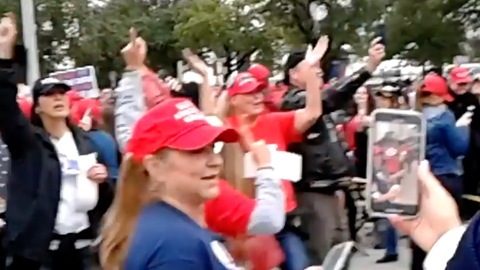 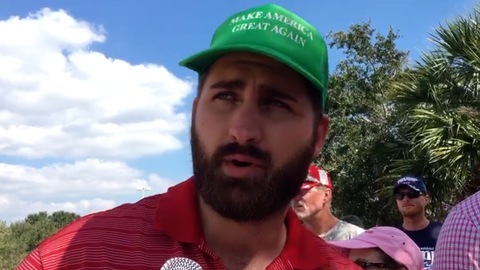 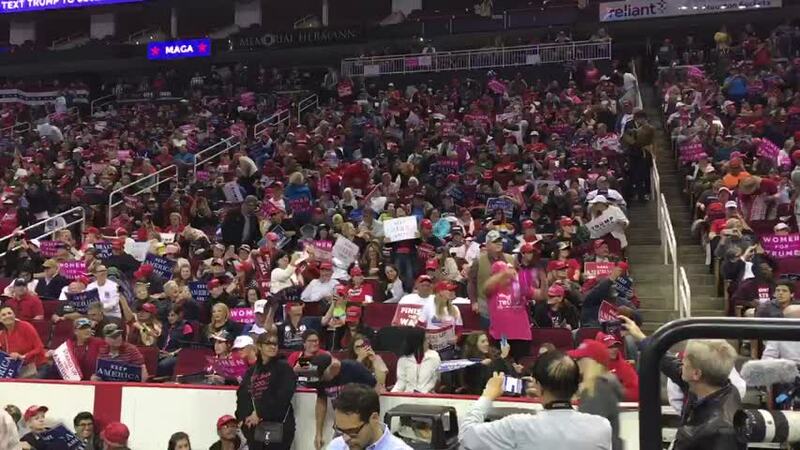 Chattanooga, Tennessee Trump Rally Nov 4-what change do you have in the last two years?